Faith in Action is a B/CS Habitat build group made up of local churches and faith groups. Members of Faith in Action raise money to sponsor Habitat homes and recruit volunteers for Habitat builds. Sharing God’s love with our neighbors has always been at the core of Habitat’s mission statement. The Bryan/College Station Habitat affiliate was formed when a local church wanted to help one of their congregation members build a house in 1989. In 1997, 14 local churches came together for the area’s first-ever ecumenical Habitat build and constructed two houses for the Lewis family and the Harris family. Since then, Faith in Action has helped build 25 houses for Habitat families. 1. Advocate – Educate your faith community about the need for affordable housing in Bryan/College Station. 2. Sponsor and Build – Together, Faith in Action members raise $60,000 annually to support the “hard costs” of construction. Sponsors are able to reserve volunteer spots as a benefit of their financial involvement. 3. Volunteer – Faith in Action members raise money through fundraisers within each congregation as well as group projects. 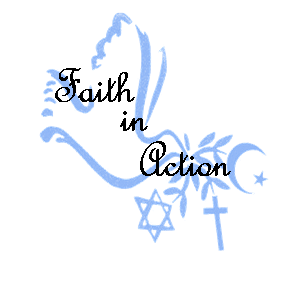 Currently, Faith in Action has two major fundraising events, Run for the House in the spring and Pumpkin Patch in the fall. Members from the Faith in Action churches and faith groups organize and staff these fun events, and the funds raised go towards the annual fundraising goal. Faith in Action also coordinates volunteer groups from their churches and faith groups to come and build the houses they sponsor. If your church or faith group wants to learn more about or is interested in joining Faith in Action, please contact David Hatteberg, B/CS Habitat’s development coordinator at (979)823-7200 ext. 105 or email him at dhatteberg@habitatbcs.org. You are also welcome to come to the monthly Faith in Action meetings. The meetings are held every third Tuesday from 5:30pm to 6:30pm in Habitat’s Educational Building located at 119 Lake St. in Bryan. At the meetings, members plan fundraising activities and coordinate volunteer days.